The advantage of training your dog to accept the muzzle and ignore its presence on his face is that this will remove 95% of the stress from wearing one. The circumstances in which you may later really need to use a muzzle include some which are inherently highly stressful, f.e. the seriously injured or frightened dog, so the dog already accustomed to being muzzled will be spared the added stress of this unfamiliar constraint. There are many other situations in which use of a muzzle can prevent problems or make the otherwise impossible possible and the otherwise untrainable amenable to training while minimizing risks to other dogs and people involved in the training. 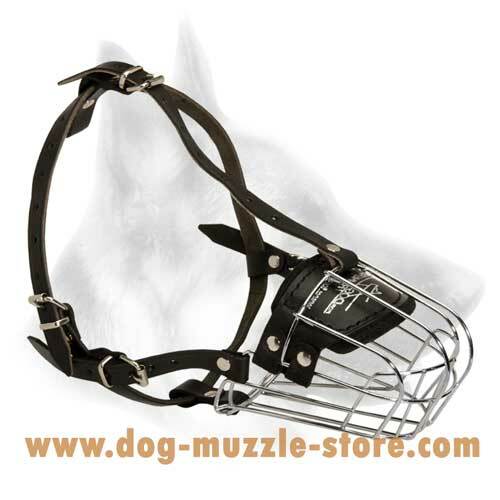 Check our store to find muzzles which are created by professional craftsmen due to the world dog training standards. You can order wire cage muzzles for travelling, padded genuine leather muzzles which provides superior comfort, designer muzzles for stylish dogs, metal cage muzzles for working K9 and police dogs and other types of dog muzzles. You are tired of endless barking of your dog and want him to keep quiet? With our new improved formula of muzzle it is not a problem. We would like to offer you this Premium Quality Leather Dog Muzzle. 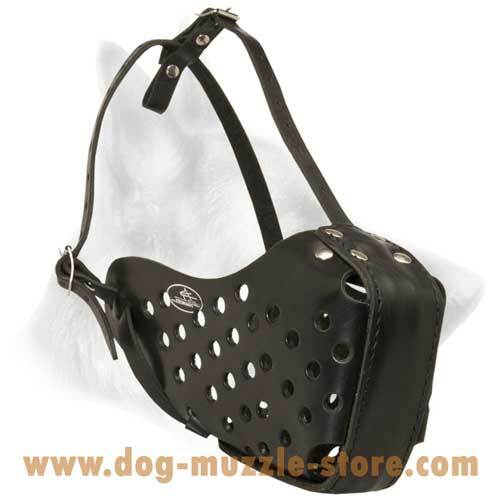 It is a light-weight construction and has special adjustable straps for fixation of the muzzle on the dog’s head. With the help of these straps your dog will not be able to dislodge the muzzle easily. Do you want to have the most comfortable muzzle for your lovely pet? Do you want it to be fully safe for you and your dog? Then, our muzzle can completely satisfy all your requirements. We would like to offer you this Wire Basket Dog Muzzle that is fully safe and comfortable for your dog.